A local environmental group is launching a slew of new advocacy efforts to eliminate the use of plastic products of all kinds in Arlington. 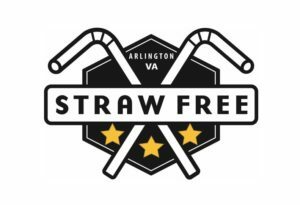 The newly re-branded EcoAction Arlington is hoping the new campaigns can convince restaurants and everyday Arlingtonians alike to abandon plastic straws, bags, bottles and more, as part of a growing national movement to keep plastic out of oceans and other waterways to protect sea life. “We’re hoping to give people a whole spectrum of ways to reduce how much plastic they use,” Executive Director Elenor Hodges told ARLnow. One effort involves EcoAction joining a regional campaign dubbed the “Plastic Free Challenge,” which kicked off yesterday (Monday) and will run through Oct. 19. The campaign will include a range of activities over that time period to help people think about avoiding plastic in their daily lives. 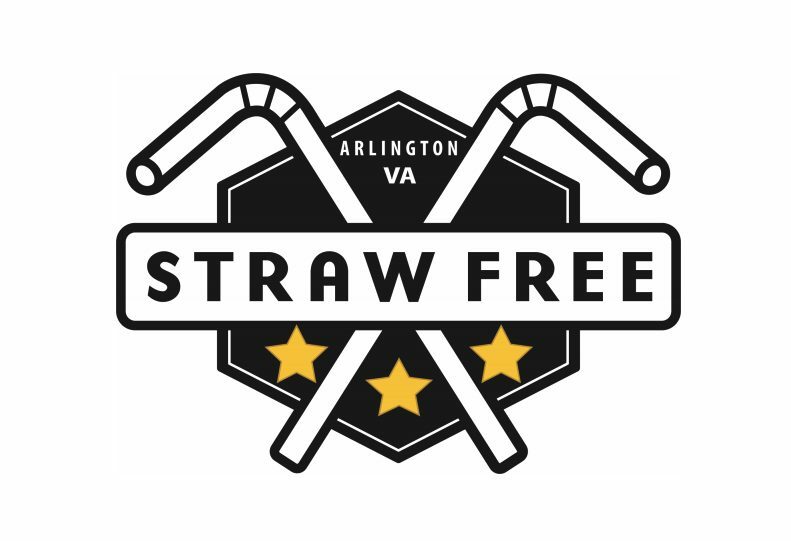 But EcoAction is also focusing on Arlington specifically with its “Straw Free Arlington” push, designed to cut back on the roughly 345,000 straws they estimate that Arlington residents use each day. While they hope the effort convinces people to rely on reusable straws instead, it’s primarily focused on pushing local restaurants to embrace paper straws or even reusable straws instead. EcoAction is offering resources for restaurant owners looking to make the switch, and plans to list any eateries refusing plastic straws on a map on its website for plastic-free consumers. The group will also hand out window stickers for restaurants swearing off plastic, and promote the companies involved among its followers on social media and elsewhere. But the effort won’t be solely focused on straws — Hodges notes that she also wants restaurants thinking about other one-use items, like plastic carryout containers, and her group plans to rate each restaurant based on what sort of commitment it makes to turning away from plastic. So far, EcoAction has already convinced two Rosslyn restaurants — Ben’s Chili Bowl and the Kona Grill — to take the straw-free pledge.